So I commited to making messenger bags for my sons, and I will. However, last night I got cutting out all the fabric and there’s 30+ pieces for each bag!! Batting, interfacing, lining, exterior . . . oh my! It’s Thursday night, here’s an phone photo of how far I am. Guess I’ll be revealing next Friday. Fingers crossed I’ll have 2 done. 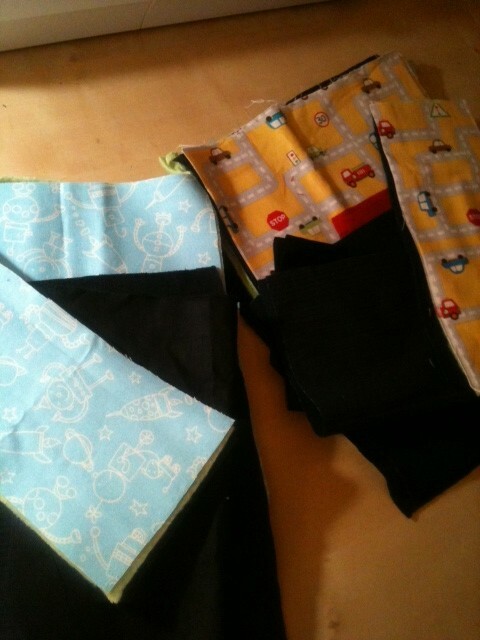 This entry was posted in kid fun and tagged keyka lou, messenger bags, michelle patterns, sewing. Bookmark the permalink. One Response to What was I thinking! oh my is right! I didn’t know a backpack had so many pieces. Good luck lady!